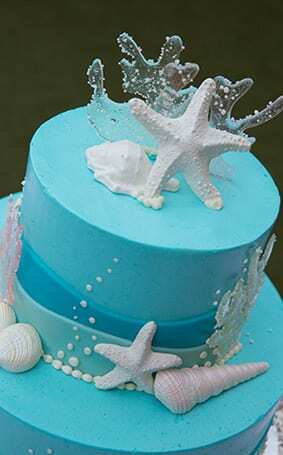 Today's wedding cake from Aulani, A Disney Resort & Spa, is a perfect complement to any beach celebration. 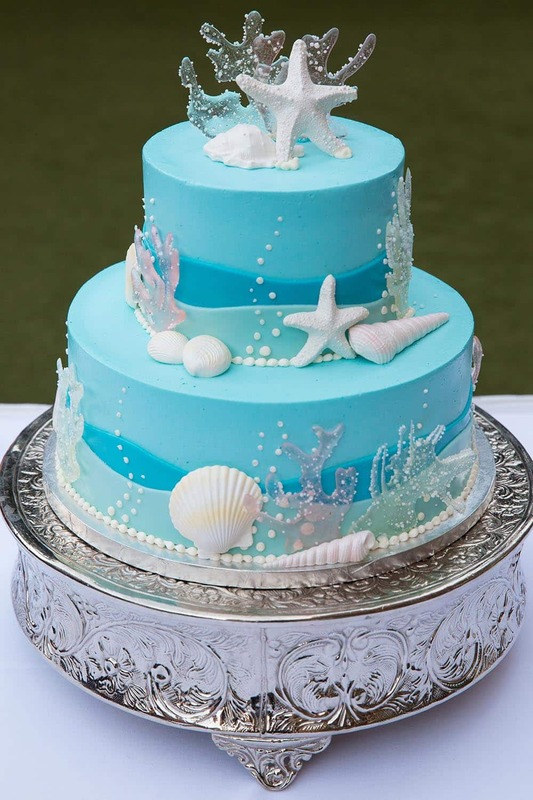 The bright blue color scheme is reminiscent of the clear island waters of Hawaii and the two tiers are decorated with delightful ocean details such as starfish, shells and bubbles. 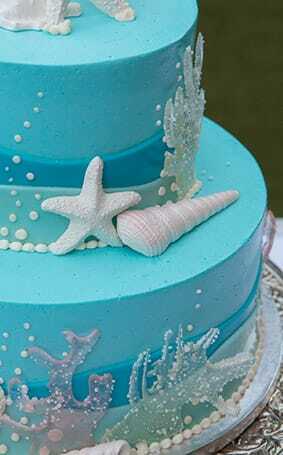 The perfect finishing touch, a clear sugar coral cake topper perfectly rounds out this under the sea cake.